With as hot and sweaty as it gets here in Colorado during the summer, I have secretly thought that wearing a kilt during the summer would be a good idea because it would be a lot more comfortable than wearing jeans all the time. 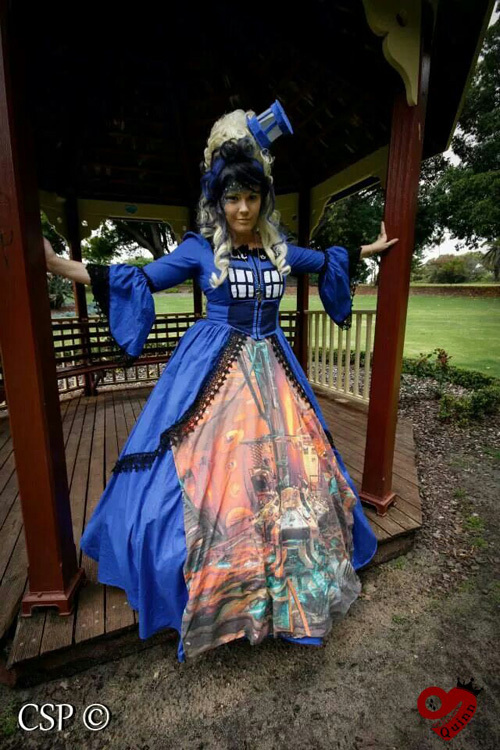 Of course with where I work, its not exactly practical or safe to wear one and I’m sure I would get a lot of crap for it but if it was something I could wear at my job, I would love to wear one and I would totally wear this TARDIS kilt! 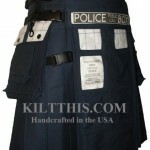 The folks over at Kilt This are selling these custom TARDIS utility kilts starting at $450. 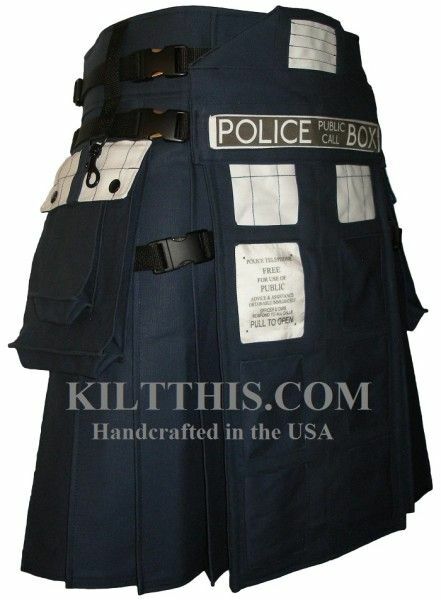 This TARDIS utilikilt comes with 2 large pockets, 3 additional containers, an apron sporran, and D-rings. Of course if thats not good enough for you, there are some upgrades for a higher price that you can get like fleece lining and inner pockets among other things. If you happen to order one of these amazing TARDIS kilts, make sure to wink when you tell people that its bigger on the inside. 😉 Oh, and share pictures with us of you sporting this fantastic kilt! 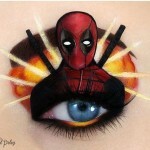 With the Deadpool movie coming out this month, I thought it was only appropriate to post this absolutely amazing Deadpool eye makeup art when I saw it. I have to admit that unlike most comic book characters like Batman, Superman, Thor, Spider-man, ect, I know absolutely nothing about Deadpool. Deadpool has never had the cultural impact that some of the bigger names have had so I’ve never had much interest into looking into the character but now that the movie is coming out and after seeing this stunning Deadpool eye art, I think I’m going to have to make time to catch myself up and find out just what all the fuss is about. Anyway, lets talk about this Deadpool makeup art rather than my comic book ignorance. 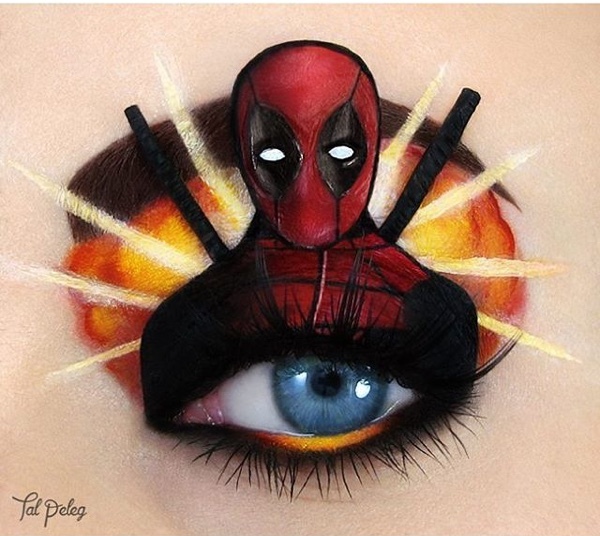 This incredibly detailed Deadpool eye makeup art was created by Tal Peleg. She is obviously incredibly talented when it comes to doing beautiful things with makeup and if you want to see more of her amazing work, I HIGHLY suggest checking out her Instagram account. If you’d like to see some of the other amazing eye makeup we have posted in the past, I suggest checking out the Spider-Man eye makeup I’ve posted or the Riddler eye makeup from a couple of years ago. Share this with any Deadpool fans you know! 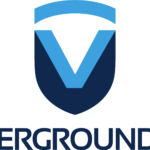 Last year I largely lost my passion for blogging and while I at least made some effort to keep things relatively fresh over on my main blog, Global Geek News, I pretty much abandoned Fanboy Fashion and all my other sites. Well, I finally have that fire to start posting again so starting Monday, there will be new posts on Fanboy Fashion! I can’t promise I will post as often as I used to as my plate is a lot fuller than it used to be but I’ll at least try to post two or three times a week from now on. I plan to post about all the amazing things I have in the past from cosplay to geeky clothes you can buy so if you loved the stuff we posted, it is coming back. To give you a small preview of just whats coming up, on Monday I will be posting some Deadpool eye makeup that will blow you away! Thanks for sticking with me through all this time and I look forward to bringing you some amazing stuff! Summer is here and that means two things, back yard grilling and Hawaiian shirts! Of course, just because you aren’t grilling up a tauntaun doesn’t mean you can’t do you grilling and drinking in Star Wars style! Nothing says you enjoy your summers like you enjoy your Star Wars quite like this Star Wars schematics Hawaiian shirt which features schematics of the Death Star, Millennium Falcon, and many other iconic Star Wars vehicles. 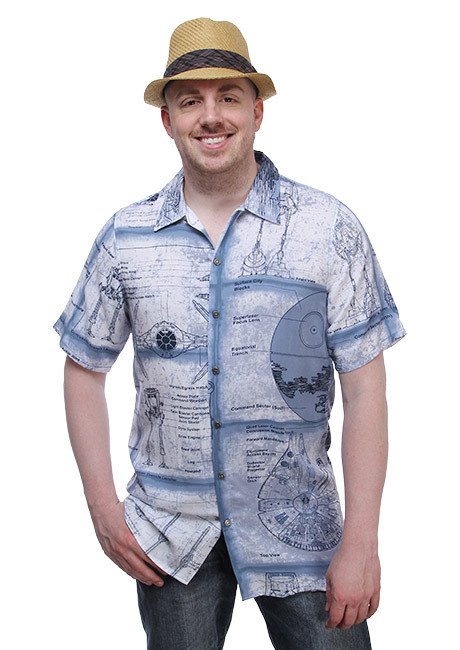 The incredible folks over at ThinkGeek are selling this sweet Star Wars schematics Hawaiian shirt for $49.99! If you are a true Star Wars fan and you want to stay comfortable this summer, pack away the Star Wars t-shirts and wear this instead! I’m honestly not sure if that is a good price or not because I only buy t-shirts and never Hawaiian shirts but even if that is high for a Hawaiian shirt, the Star Wars cool factor more than makes up for it. May the Force be with you and your grilling! 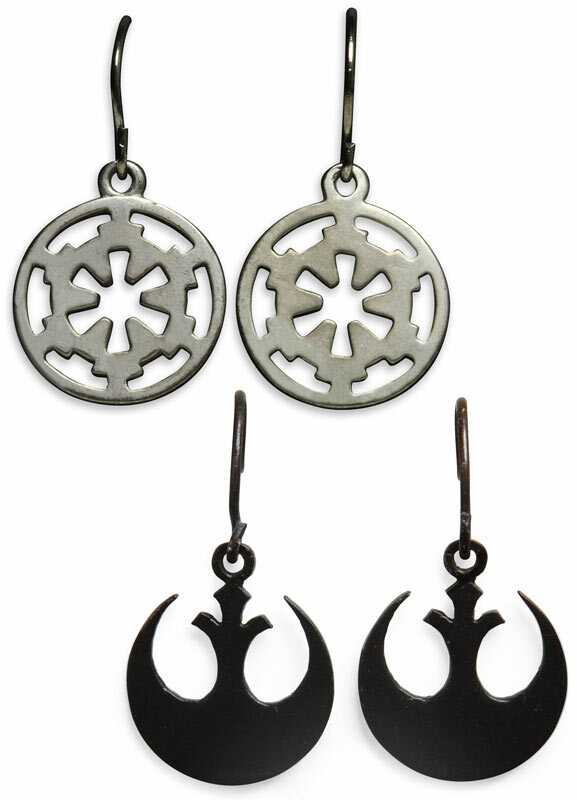 Celebrate Star Wars Day with Star Wars Logo Earrings! Happy Star Wars Day! I hope you are finding some fun ways to celebrate perhaps the geekiest unofficial holiday of the year. As much as I would like to spend the day playing some Star Wars games or having a movie marathon, I’m stuck at work so the extent of my celebration this year is wearing my Star Wars / Legend of Zelda crossover t-shirt. However, speaking of wearing things, for those that like earrings, I think I have found some Star Wars earrings you are going to love! 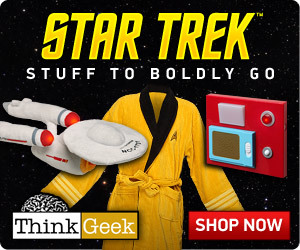 The amazing people over at ThinkGeek currently have a 20% off sale on Star Wars stuff today since it is May 4th. One of the more fashionable things I thought you guys might enjoy picking up while it is 20% off are these really cool Star Wars logo earrings which are just $19.99! You can choose either the Imperial logo or the Rebel Alliance logo or better yet, pick up a set of both! Speaking of ThinkGeek’s Star Wars sale, while there is no coupon code required to take advantage of the 20% off, if you spend more than $20 and use the coupon code ‘TENPACES’, you will get a really cool pin of Luke fighting Darth Vader. The pin is limited edition so make sure you take advantage of that while supplies last! Despite rumors to the contrary, Fanboy Fashion is not dead! I simply haven’t had the time for it lately like I used to although I think that is about to change. 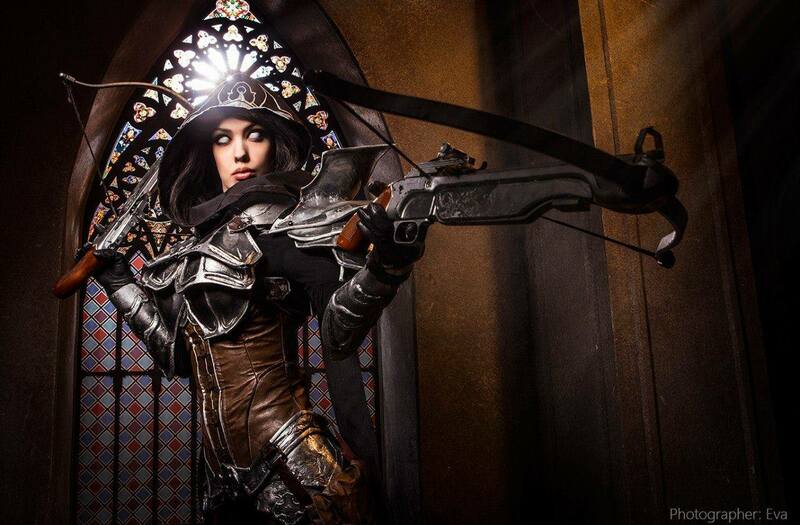 Anyway, when I saw this great Diablo III Demon Hunter cosplay, I knew I had to share it with you! 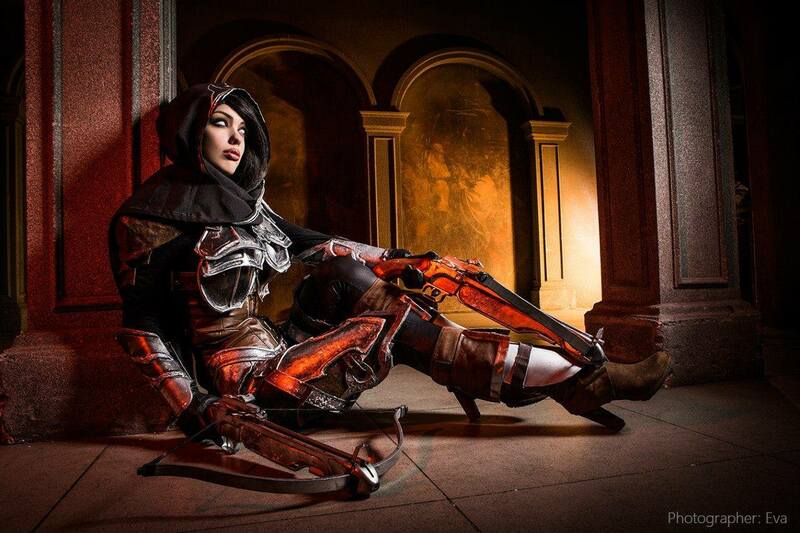 In the past, I have posted a couple of great Demon Hunter cosplays (like this one and this one), but the cosplay below is my favorite so far. 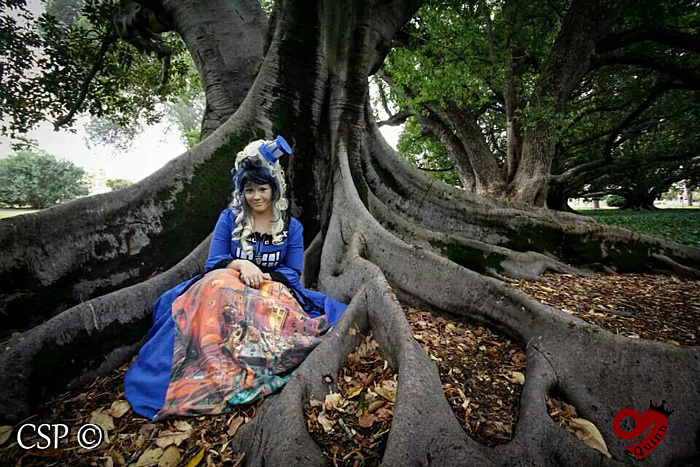 Not only does the cosplay look great, but I am really loving the photography too! 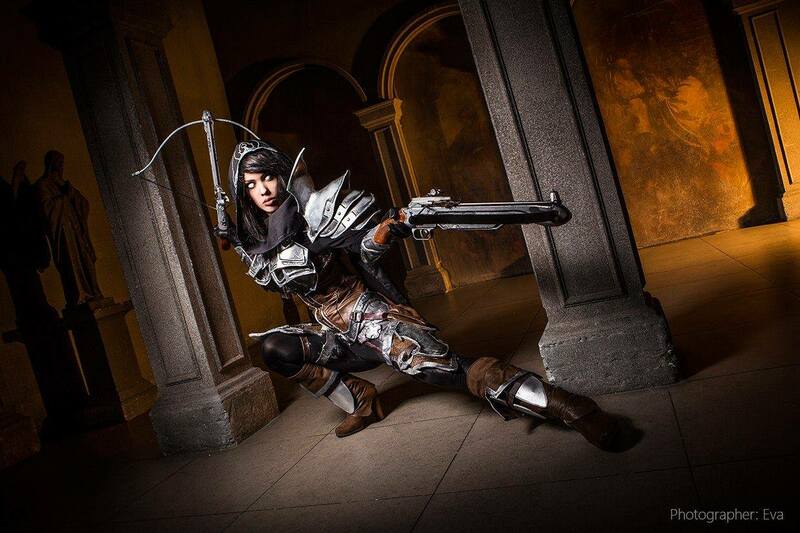 I spotted this fantastic Diablo III female Demon Hunter cosplay on the official Diablo III Facebook page yesterday. 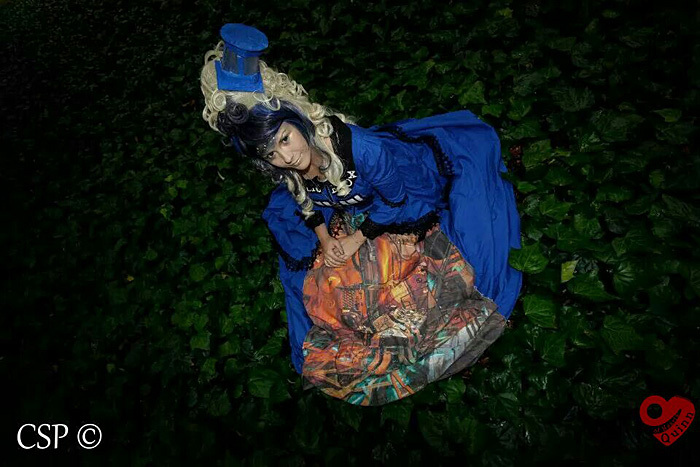 The cosplayer in these pictures is FreiaRaven and the photographer that took these beautiful shots is Photographer Eva. I’m impressed with how great these photos are! I especially appreciate the great lighting and church setting. Share this with any Diablo III fans and cosplay enthusiasts you know! Like us on Facebook too! There are times I get a bit jealous of all of the awesome geeky clothes that are made for women and this would definitely be one of them. I have some pretty cool Legend of Zelda t-shirts but they can’t compare to this amazing Legend of Zelda cosplay dress! This particular costume is made from 100% cotton, trimmed with crushed gold lamé and gold leatherette. Fully lined in polyester cotton, with 3 layers of net underskirting. Boned bodice, back zip fastening with corset effect lacing over the top. Top stitched in gold thread. If you are a Legend of Zelda fan who happens to be looking for something to where to a con or even perhaps a renaissance fair but don’t want to deal with the hassle of making your own outfit, this might be just what you have been looking for! 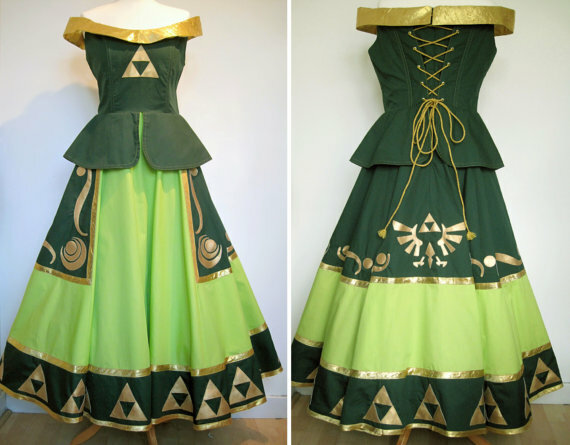 Heck, this would even make for a nice non-traditional wedding dress for a really big Zelda fan. If you happen to order one of these dresses, send us pictures of you wearing it! I love to see my readers enjoying the things I post about! 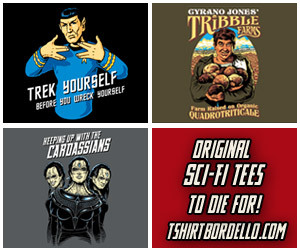 All our nerdy t-shirts are on sale for $14 thru Friday and more! I don’t think I ever announced it here on Fanboy Fashion like I did my other site, Global Geek News, but I now have my own nerdy clothing store called Geek Tees! There are tons of amazing designs, many of which I own and wear all the time myself and I am constantly adding new designs. Anyway, if you are in the market for some geeky clothing whether it is for the Legend of Zelda, Lord of the Rings, Star Wars, Futurama just to name a few, you should definitely be shopping at Geek Tees! Through Friday, everything is on sale at Geek Tees too! All t-shirts which are normally $20 are marked down to just $14! You can also pick up tank tops, crewnecks and hoodies for $18, $30 and $35 respectively as well! Whether you are looking for something for yourself or for somebody else as a gift, now would be the time to shop since sales like these don’t come around very often! Make sure to check out Geek Tees regularly to see all of the cool clothing designs that I add to keep things fresh. It has been way too long since I have posted something here on Fanboy Fashion! Hopefully now that the holidays are over and things are calming down a bit, I can start posting regularly again. 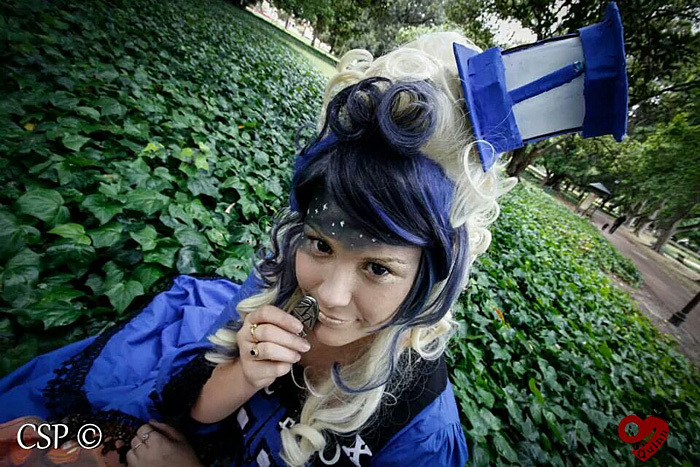 With a little luck, this amazing TARDIS cosplay will be the the beginning of things getting back to normal. 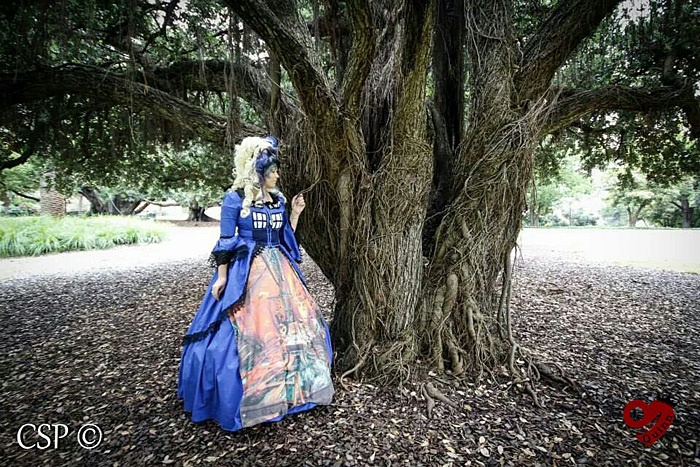 In the past, I have shared some rather unique TARDIS cosplay and I would probably put the incredible TARDIS cosplay below in that same category. 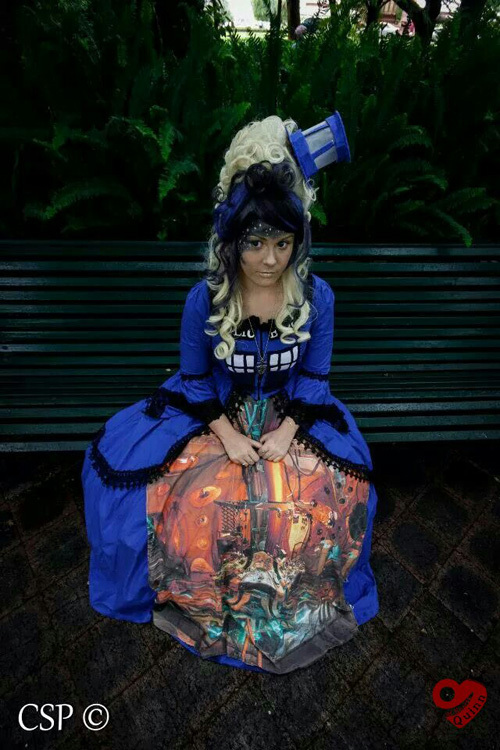 Quinn of Hearts is the talented cosplayer behind this amazing TARDIS cosplay that has a Victorian flare and provides a great view of the inside of the TARDIS! The also great photography was taken by Claire Sheldon Photography.